If she weren’t the gift that keeps on giving, maybe I’d stop writing about her. But….she is. So I won’t. 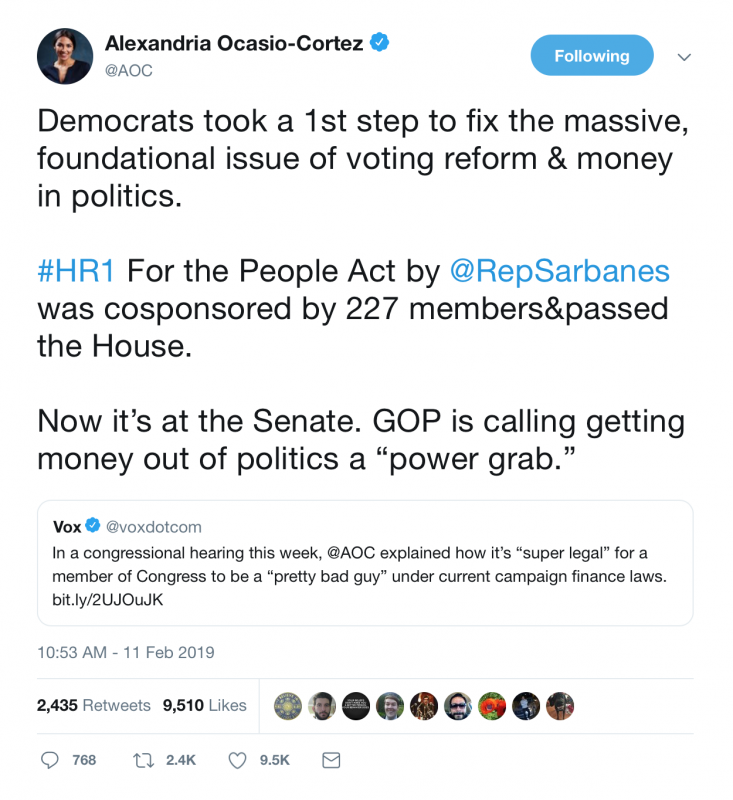 N.Y. Rep. Alexandria Ocasio-Cortez still seems to be struggling with the basics of her job – we’re talking fundamentals like how our government is structured, here – and Monday wasn’t an exception. In fact, the bill, which was introduced on Jan. 3, hasn’t even been brought to the House floor for a vote yet. It’s still sitting in committee, and is most definitely not "at the Senate." 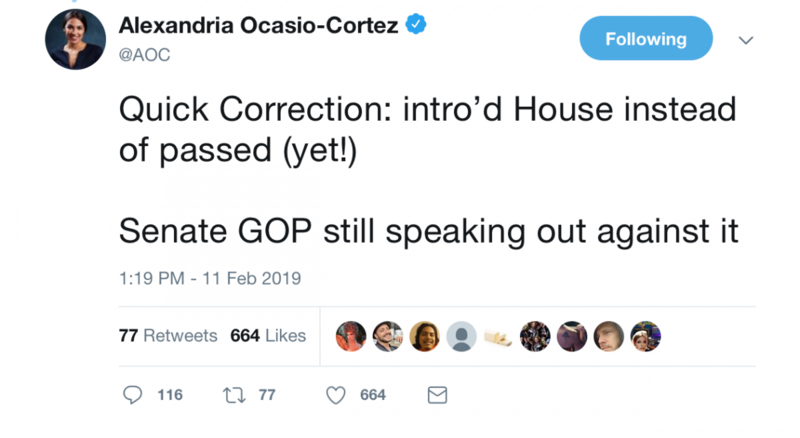 But that didn’t stop Ocasio-Cortez’s gaffe from garnering nearly 10,000 “likes” on Twitter before the congresswoman issued a “quick correction” that basically negated her entire initial statement. We all knew AOC was having a hard time with her new gig, but listening to an elected lawmaker who doesn't understand the rock-bottom basics of her job is like talking to a barista who doesn’t know the difference between regular and decaf – it's somewhat laughable....but still might keep you up at night.